INDUSTRY.co.id - Jakarta – Government of Indonesia needs to consider selling CPO or palm oil to Mexico to boost cooperation between the two countries, said Chairman of Bilateral Cooperation Group (GKSB) of the Indonesian-Mexican House Djoko Udjianto. "Perhaps we should also consider selling CPO, because our CPO production is quite a lot," said Djoko Udianto in a release in Jakarta on Tuesday (10/4/2018). According to Democrat Party politician, although Mexico is supported by sunflower and soybean commodities from the US, but CPO is one alternative. In addition, he said, in terms of trade, visit GKSB to Mexico in 2016 ago also discussed the opportunity to import beef from Mexico to Indonesia. He believes that the opportunity should be realized as an improvement in economic and trade relations between the two countries. As is known, the total trade between the two countries in 2017 reached 1.2 billion US dollars. Previously, Trade Minister Enggartiasto Lukita suspected there was industrial competition behind the ban on the use of oil palm and its derivative products in European countries and the United States. "I see there is competition, (due to) producing other oils, they produce 'vegetable oil', there is 'rapeseed oil', whose price becomes more expensive because our CPO is cheaper, it is competition, unhealthy competition," said Enggartiasto after met Vice President Jusuf Kalla at the Vice President's Office on Monday (9/4). The Minister of Trade also considered that the issues expressed by the EU are always related to the environment, when in fact they want to improve the vegetable oil industry and "rapeseed oil" in their country. 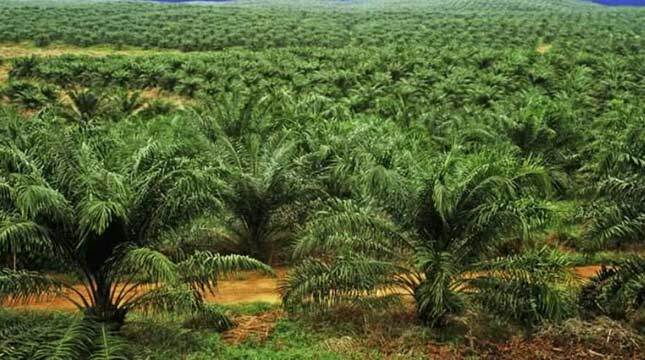 Meanwhile, Indonesian Palm Oil Entrepreneurs Association (GAPKI) stated that the price of palm oil (CPO) in early January 2018 decreased due to weak global market demand, especially from People's Republic of China (PRC). GAPKI Secretary General Togar Sitanggang said that at the beginning of 2018 the global palm oil market is promising as reflected in palm oil prices could rise in the first two weeks and prices hovered in the range of 675-697.5 US dollars per metric ton. "But in the third and fourth weeks the price tends to decrease to 652.5 US dollars per metric ton," said Togar Sitanggang.